The Invacare Stand Assist Sling is primarily designed for use with the Reliant 350. This Sling however, is also compatible with other Stand Assists. 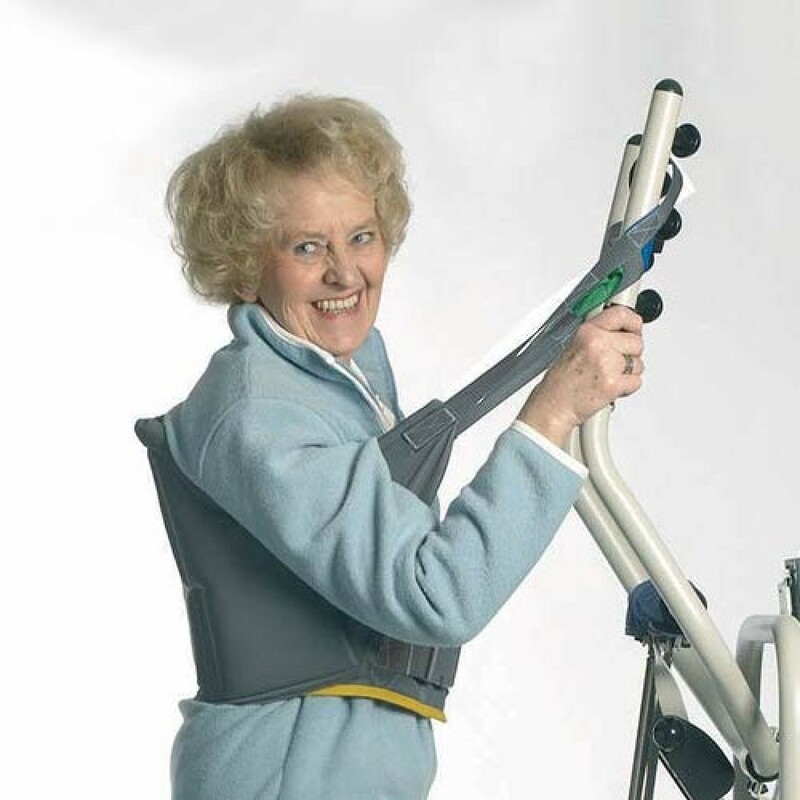 The Sling is suitable for patients who cannot stand independently and have some weight bearing ability. The patients using this Sling should have good head/body control and be able to grip the lifters boom during transfers. The Stand Assist Sling has non-slip material plus padding for extra comfort, safety and positioning. The Solid Polyester fabric smoothly slides and drys quickly after washing. Standing Transfer Vest - PolyesterThe Invacare Standing Transfer Vest is suitable for users wit.. Standing Transfer Vest with Groin BandThe Invacare Standing Transfer Vest (including Groin Band..